Eastern Market is considered by many as the heart and soul of “the hill”. It has been the centre of life within Capitol Hill for more than 200 years. The Eastern Market was built to conveniently supply goods to the residents of Capitol Hill, an area home to historical figures mixed with modern day congressmen. The market was a symbol of urbanization. 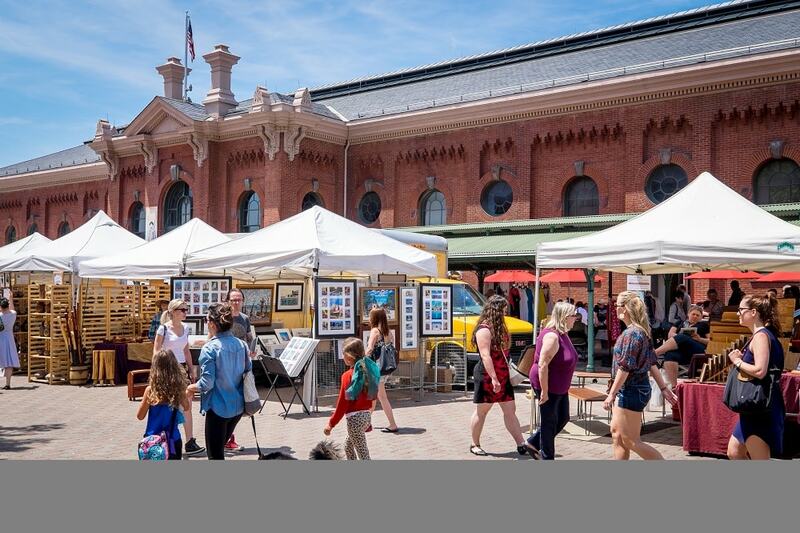 Eastern Market is the oldest continuously running food market in the DC area, still serving its purpose as a public market. On weekends, the streets around Eastern Market are flooded with hundreds of vendors selling fresh produce, handicrafts, arts and antiques. Our tour will give you an insight into the legendary market as we explore the historical sites, tasting some very fine desserts. You will have the opportunity to meet the long-standing vendors and their dessert specialities! It includes a variety of local products of Washington DC. Till day, the market remains a culinary gem in DC. It is full of history, character and delicious desserts! *We will not enter any residences on this tour and view the sites from the top. *Please let us know if you have any food allergies before the tour.